Early identification of schizophrenia and other psychoses should not just be a priority for clinicians—it should be a national priority, says psychiatrist Raquel Gur, M.D., a leading schizophrenia researcher. Speaking at the APA Institute on Psychiatric Services, Gur pointed out that despite the illness's complexity, early psychosis identification is becoming more likely thanks to a growing research base linking genetic, neurodevelopmental, and behavioral findings about how psychosis progresses over time. Such early identification must follow the pattern that made it routine for diabetes, cardiovascular disease, and other disorders. "It is no different for psychosis," she said. "When someone presents with a risk, we cannot send them away until they meet DSM criteria for schizophrenia." Pursuing the path of other illnesses, however, will not be simple, she added, in large part because of the stubborn stigma that attaches to mental illness and the complexity of the brain. But the "train toward psychosis leaves the station early, and we are trying to capture it before it derails." 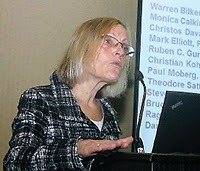 She cited several examples of research that is advancing the knowledge needed for early psychosis identification, including the Philadelphia Neurodevelopmental Cohort, which is seeking to describe how genetics impact trajectories of brain development and cognitive functioning in adolescence and understand how abnormal trajectories of development are associated with psychiatric symptoms. In this study, nearly 10,000 youth presenting at Children’s Hospital of Philadelphia for nonpsychiatric reasons have received a comprehensive genetic, psychiatric, and cognitive assessment, with a subsample of these participants receiving multimodal neuroimaging. Read more about this and other studies laying the groundwork for early psychosis intervention in the Psychiatric News article "Expert Says Early Identification of Psychosis Should Be Priority."